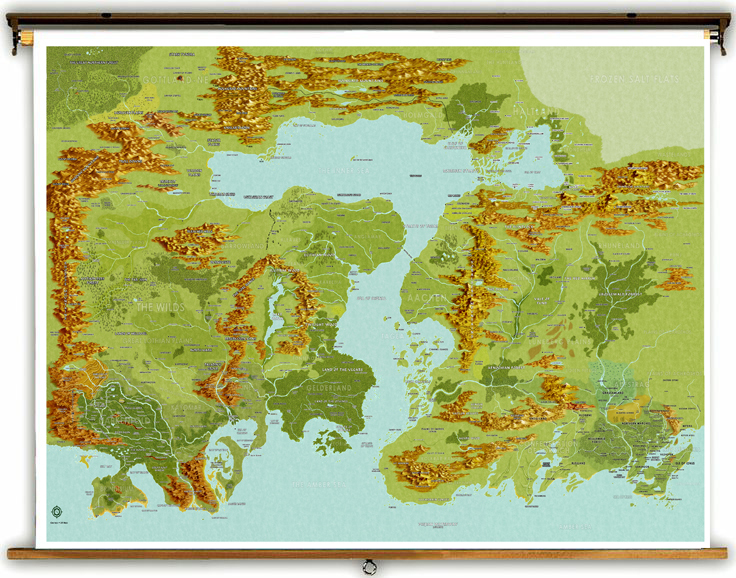 And for the Alpha Gamer in you, The World of Aihrde, Lands of Ursal, map comes in the unique spring roller system. Wall mounted (or in a tripod stand, see below for costs), this 55" by 37" map is the perfect edition to your gaming hall! Tripod stand: costs an additional $110.00 (that's our cost, that's your cost!). Display the World of Aihrde like no other gaming world on the market now, or ever.